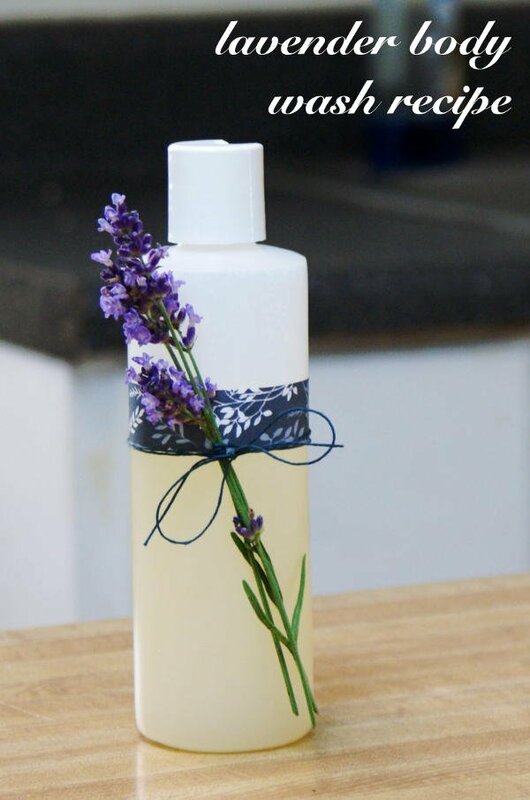 This non-greasy lavender body butter recipe is easy to craft and makes a wonderful homemade gift idea. A touch of natural neem oil is added for it’s antiviral, antibacterial and antifungal properties that work together to promote skin health. 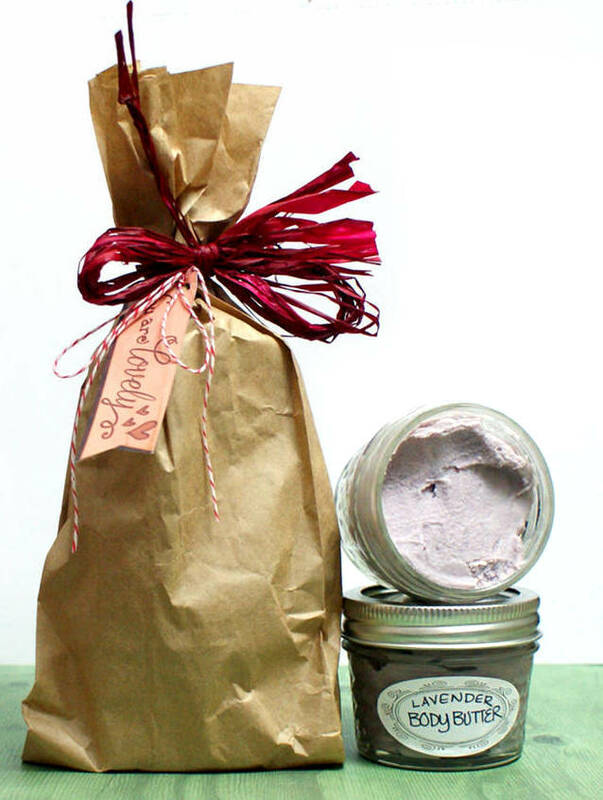 I made this lavender body butter recipe specifically for my grandmother as a homemade Christmas gift. Her favorite scent is lavender lavender lavender. Additionally she also, unfortunately, struggles with recurring shingles. 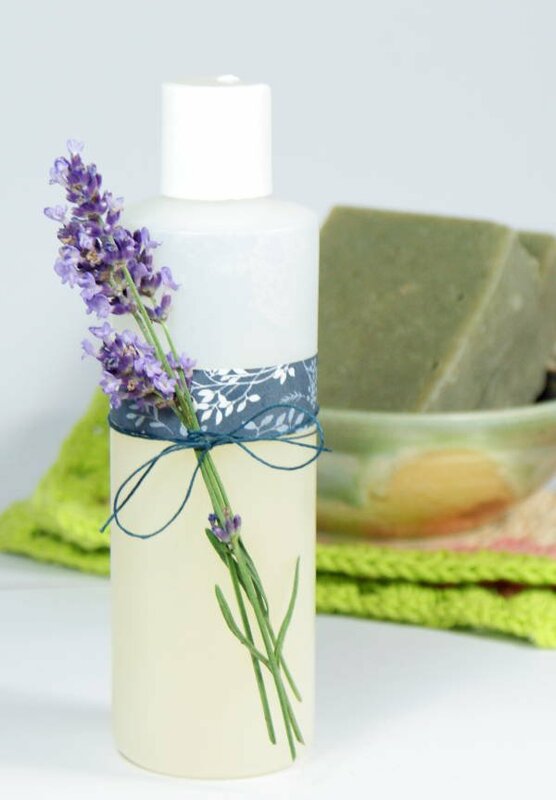 Because of neem oils antiviral properties, I thought adding neem oil to this non-greasy lavender body butter recipe would be the perfect fit for her. Traditionally, neem oil has been used in many skin care applications that offer relief from common skin conditions like eczema and psoriasis. 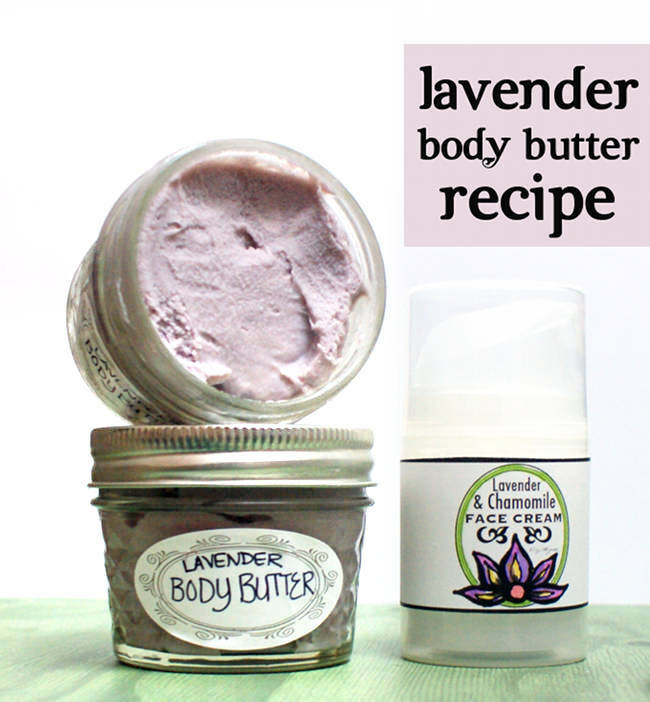 If you prefer an all natural lavender body butter then you can omit the Cyclomethicone. However, this ingredient gives the resulting body butter a smooth, silky feel and also helps the end product not feel greasy once it absorbs into skin. Color is also optional. If you’d like a lavender tinted product you can use micas or oxide and ultramarine pigment powders. In addition you can use unrefined shea butter and cocoa butter but it may impact the fragrance of the final product depending on where you source your ingredients. 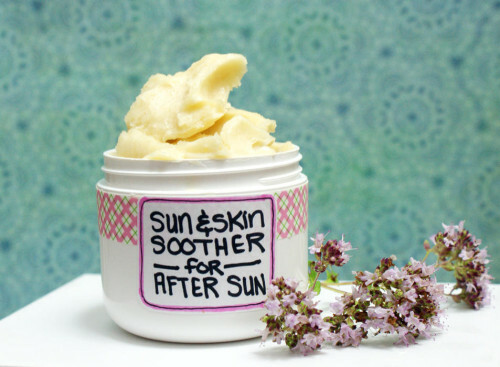 This lavender body butter recipe yields one 4 oz. container and will weigh around 3.8 oz. You can easily double or triple this recipe to make more than one lavender body butter at a time. Begin by using a digital kitchen scale to weigh out the shea and cocoa butters. Combine in a large glass Pyrex measuring cup and heat at reduced power until fully melted. Weigh out the arrowroot powder and stir into the butters until it has dissolved. Now weigh out the lanolin and stir into the melted butters until it has liquified. Next weigh out and stir in the hemp seed oil, lavender essential oil and Cyclomethicone. Follow with the vitamin E and neem oils, using graduated plastic pipette to measure out and add these ingredients. Mix well. 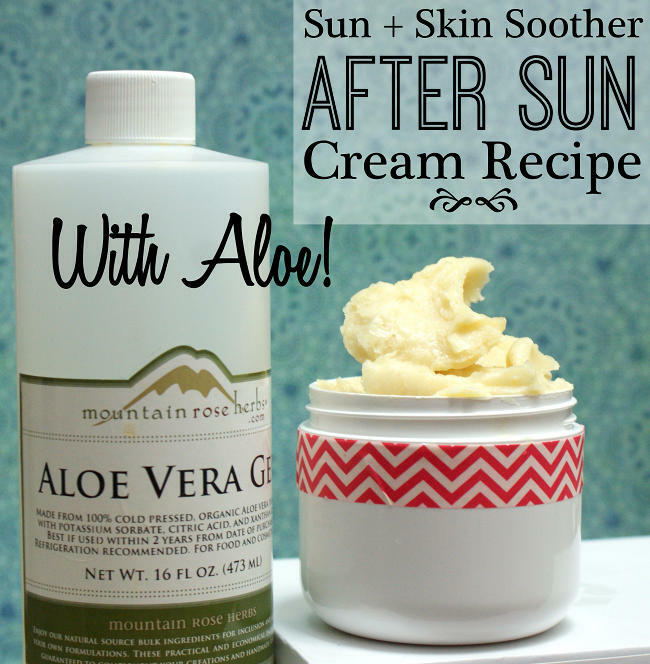 Pour the body butter into a 4 oz. container of your choice. I used a small 4 oz. quilted Ball canning/jelly jar. 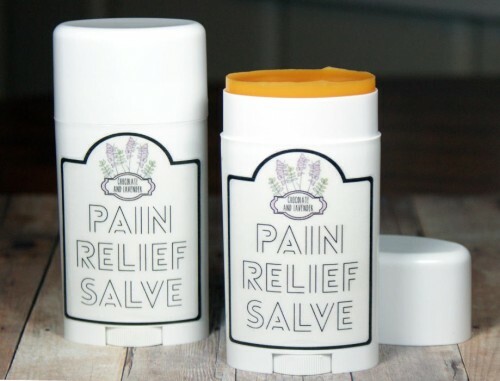 (My 12 pack of jars came with a set of blank labels you see on the front of my lavender body butter.) You can easily find these at local grocery stores as well as big box stores. 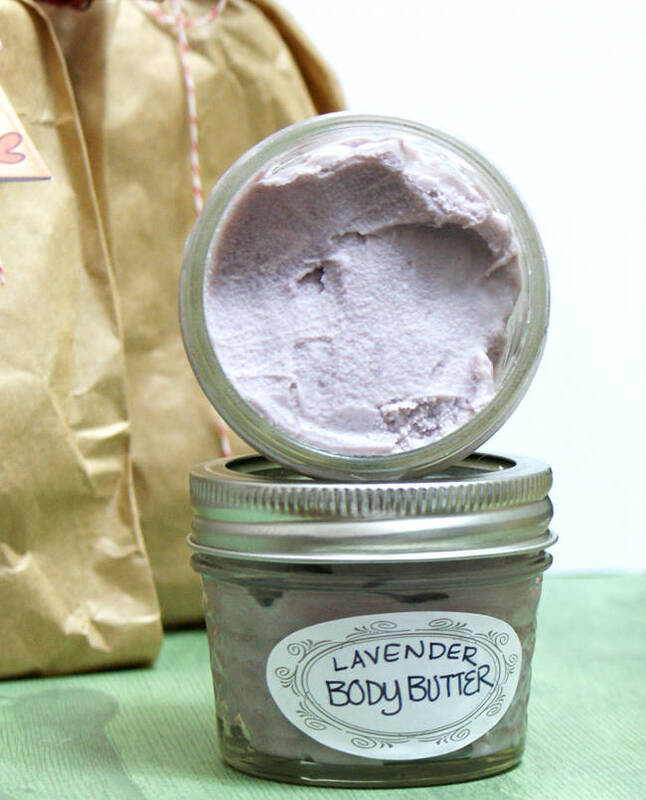 Keep in mind that this lavender body butter recipe will take a while to harden up. You can speed this up by placing it in the fridge. To use simply scoop out a small amount and rub onto skin as desired. Keep in mind that less is more. A little goes a long way and using too much will take the product longer to absorb. 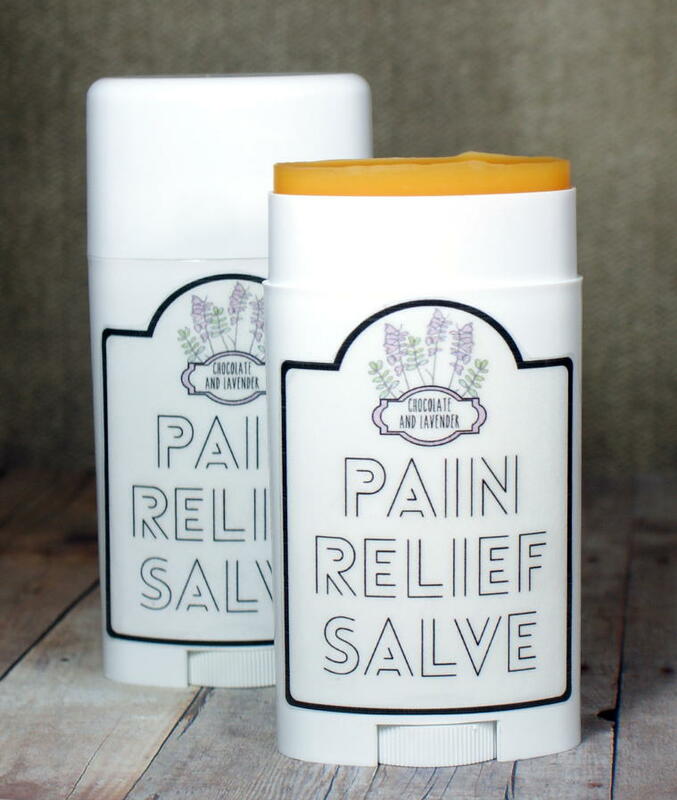 For label ideas for this lavender body butter be sure to check out my homemade cranberry non-greasy body butter recipe which instructs you on using sticker paper and stamp to make a seasonal sticker label for the top of the canning jar. 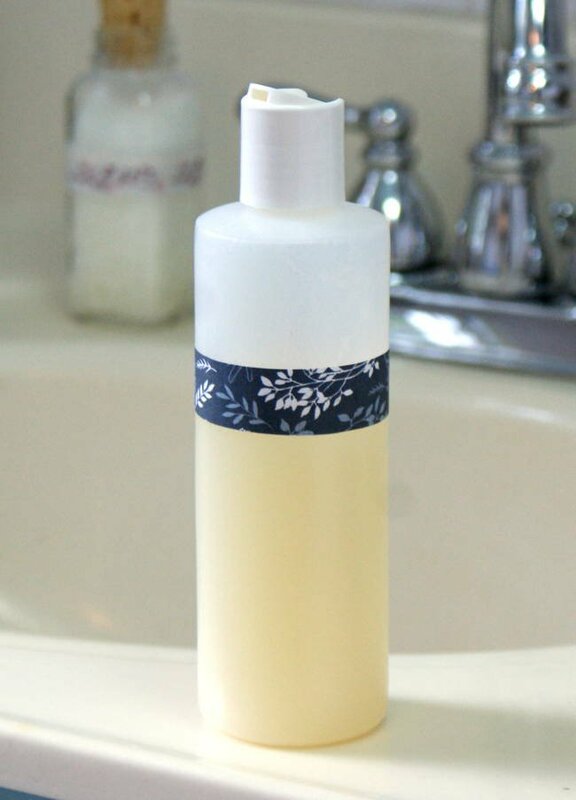 If you liked this recipe you may also like my dry oil body spray recipe. You can find more skin care recipes and homemade Christmas gift ideas by following my Pinterest boards. If you’d like to read more from Soap Deli News be sure to follow me on Tumblr, Blog Lovin’, Facebook, Twitter and Instagram. Want a truly indulgent bath experience? This easy homemade lavender bath bomb recipe is enriched with skin loving shea butter and apricot kernel oil and produces a very dense, concentrated fizz. Learn how to make these simple DIY lavender essential oil bath bombs now for an evening of self care! I made these lavender bath bombs two ways. I used a Basic Guest Round Silicone Soap Mold as well as a plastic round two piece bath bomb mold . You can use any mold you like but be sure to keep it simple or you’ll have trouble getting them out of your mold in one piece. I found that with the silicone mold it works best if you press the mixed ingredients into the mold cavities all at once instead of layering it in. You’ll also want to give them extra drying time before unmolding. I recommend two days. If it’s super humid where you live use a round two piece bath bomb mold – in which you press the two sides of the mold together around the mixed ingredients – or a meat baller as this works better and is less likely to fall apart when being unmolded. 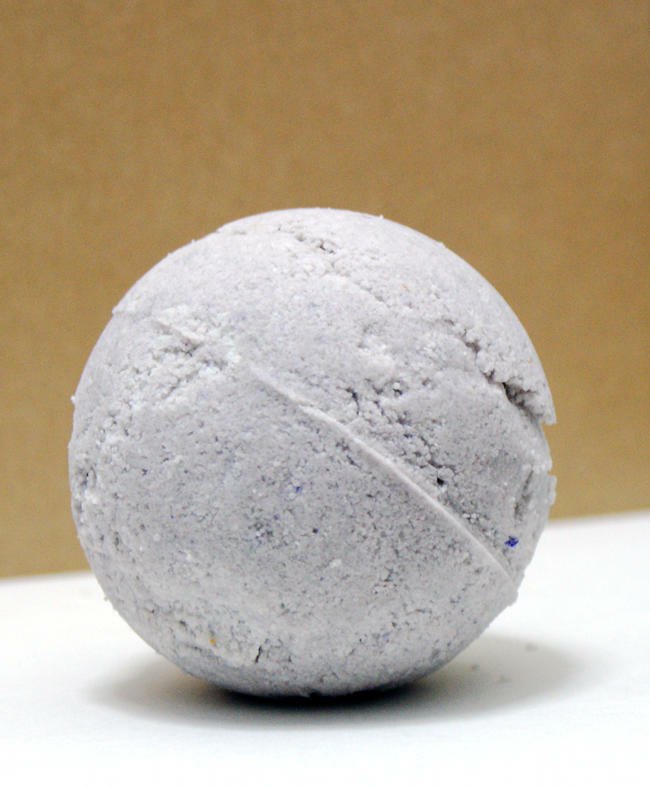 Plus you can unmold and wrap the round bath bombs sooner. Using a digital scale weigh out the baking soda, citric acid, sea salt and kaolin clay into a glass bowl and mix together with a fork. Now weigh out the shea butter into a small glass Pyrex measuring cup and heat in the microwave until melted. Weigh out the apricot kernel oil and stir into the melted shea butter. Using a graduated plastic transfer pipette measure out the lavender essential oil and add to the melted shea butter and oil. Slowly drizzle the melted butter and oil into the dry ingredients a little at a time mixing with a fork as you go until the dry ingredients stay clumped together when you press onto them. Now firmly press the dry ingredients into your mold(s) of choice. Allow to dry, then remove from molds and wrap. 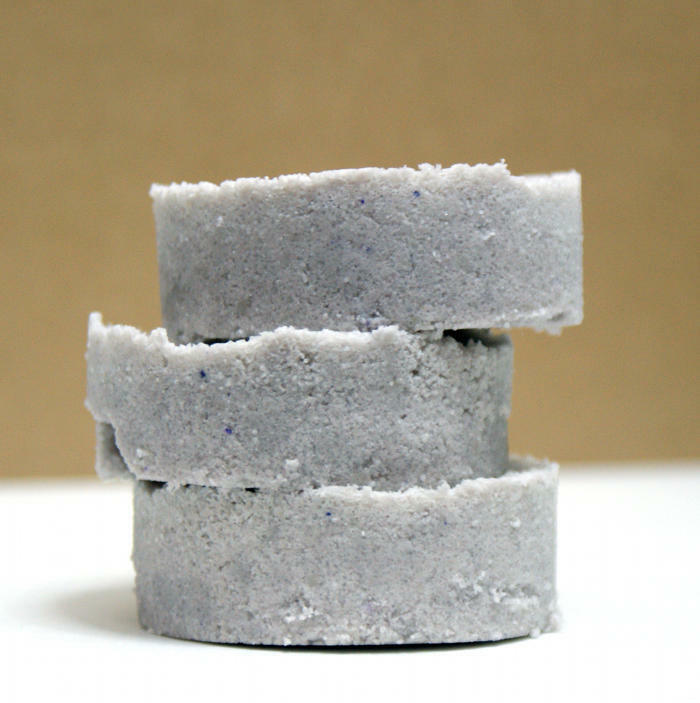 This recipe will yield approximately five lavender bath fizzies if you use the guest silicone soap mold or about one and a half large bath bombs. To use simply drop your homemade lavender bath bombs into the tub under running water. If you enjoyed my homemade lavender bath bomb recipe, then you may also like my other essential oil bath bomb recipe for peppermint bath bombs. For more homemade bath bomb recipes, homemade soap recipes and other bath and beauty DIY’s be sure to follow my DIY Bath and Body Pinterest Board! You can also follow Soap Deli News blog via Blog Lovin’, Facebook, Instagram and Twitter.